Give your pets the pampering they deserve at Salty Dog Pet Resort. We offer boarding, daycare, and grooming services for cats and dogs at our full-service resort in Rockport, TX. In addition, we have a dog wash station where you can bathe your canine companions after a fun day playing at our resort. Our resort and its services are designed with your pets’ happiness and well-being in mind. Our boarding and daycare facilities are cozy and safe, and we provide our furry guests with access to independent or group play. In addition, our groomers are highly skilled and sincerely love animals. You can feel confident about leaving your beloved pet in our care, whether it’s for an hour, a day, or even longer. Dogs and cats of all sizes and breeds are welcome! At Salty Dog Pet Resort, our goal is to make every guest feel at home. This is because we believe that animals are not just pets—they are valued members of the family. Our team of knowledgeable and well-trained pet professionals is committed to ensuring that you and your fur baby have a fantastic experience with us. Whether you are bringing your pet over for grooming, daycare, or boarding, we will provide you with exceptional service at a reasonable rate. We take pride in always going the extra mile for our customers and making their pets feel comfortable. Our owners Sarah Haskins and Arthur Helmsteadt have always loved working with animals. Sarah is a licensed dog trainer and certified groomer, while Arthur has a background in business ownership. In October 2009, they established Salty Dog Pet Resort. Through our services, we aim to treat our clients’ furry pals as well as we would our own. 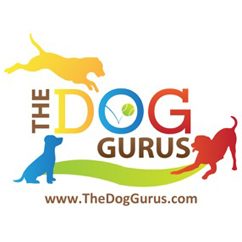 We are a proud member of The Dog Gurus. 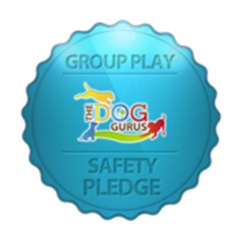 All staff at salty dog have taken a 6 hour course on animal behavior, body language and safety. This means that we are committed to the safety of all the dogs and cats in our care, especially when they’re at play. Our dedicated and compassionate staff members truly love working with animals. They constantly go above and beyond what is expected of them. Our grooming specialists have undergone an extensive internship that involves six months of hands-on and book training. In addition, they have trained at pet facilities.